#PilotCutter - The Royal St George Yacht Club gives word that a crew is needed to sail the Bristol Channel pilot cutter Dolphin on a return trip to Greenland via Iceland this summer. 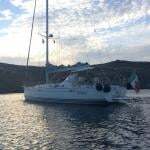 It promises to be a challenging adventure only for the experienced sailor, with cramped conditions on board and bad weather expected. But there will also be plenty of opportunity for climbing and walking, as well as creature watching from polar bears to muskoxen and arctic foxes. 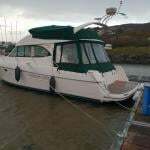 The classic boat in question – a 1909 Bristol Channel pilot cutter with 39ft on deck - aims to leave Swansea in late June for return in mid September, with planned stops for crew changes in Reykjavik and Issaford in Northern Iceland (mid July and end of August). While in Greenland, Dolphin will return to Kangerlussuaq, if possible, and propose to spend two to three weeks in or toward the mountains beyond Kraemer Island at the edge of the icecap, subject to the ice. The Royal St George has more on the voyage HERE.